So, my first cooking segment with The Virginia Farm Bureau's monthly program "Real Virginia" which features Virginia-focused agricultural news, profiles as well as gardening segments is officially up and running. 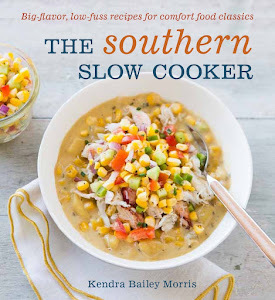 About a month ago, I was contacted by the Farm Bureau to step in for Chef John Maxwell (who has since taken a teaching position in Florida) as the new culinary segment host for "Heart of the Home", a televised cooking demonstration featuring the best of Virginia's produce, meats and locally made products. We spent an afternoon shooting three segments at Sur La Table at Stony Point which houses my dream kitchen as well as a collection of cooking tools worth weeping over. If you haven't taken a cooking class there yet, by all means do. By the end of the day, we had all three segments in the can including this recipe for BLT Deviled Eggs, which essentially combines all the deliciousness found in a bacon, lettuce and tomato sandwich and stuffs it into a classic Southern-style deviled egg. It's a great recipe that's super easy to make, and man oh man, is it satisfying. Salty bacon meets creamy eggs yolks and home-canned bread and butter pickles for a sweet and savory combo that really hits the spot. Be sure to visit your local farmer's market to buy some Virginia farm-fresh eggs for this one. Check out the full recipe below or visit Heart of the Home online. In the meantime, check out the video. Slice eggs in half long ways and pop out the yolks. In a medium-sized bowl, mix together yolks, mayonnaise, Dijon mustard, bread and butter pickles and bacon. Add cayenne pepper, salt and black pepper, to taste. Fill a piping bag or plastic storage bag (with the corner snipped off) and pipe filling into each of the eggs. Hint: place eggs on a paper towel so they don’t slide around while you fill them. Once you’ve used up all the filling, assemble eggs on a platter and top each one with a cherry tomato half. Then sprinkle each egg with a little shredded iceberg lettuce. Chill until ready to serve. ©2011 Fatback and Foie Gras. All rights reserved. This material may not be published, broadcast, rewritten or redistributed without permission. Egg recipe to the highest level. Are those small tomatoes? Yup, those are little grape tomatoes sliced in half. You could use cherry tomatoes or just minced up a big one as well. 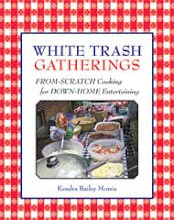 So excited about your cooking show! 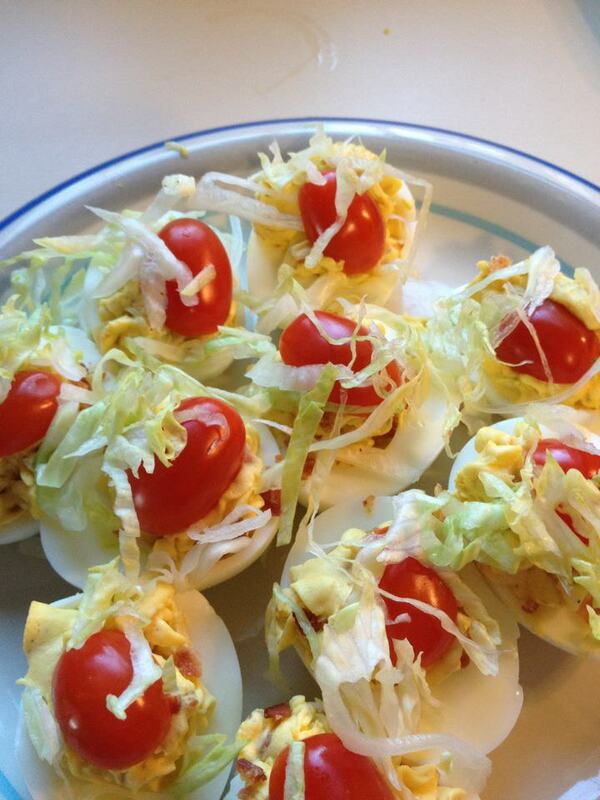 And these eggs look amazing--a nice variation on the usual boring deviled eggs.